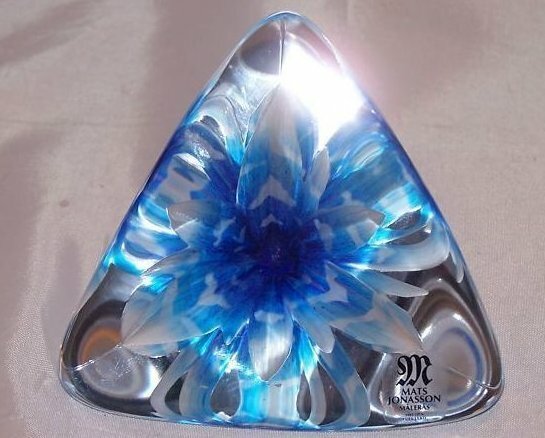 This stunning Mats Jonasson Maleras paperweight uses full-lead crystal and a triangular shape to play with light, making this piece a pure delight. Rounded corners, blue center. Rounded corners give the paperweight a very soft and friendly look and feel. 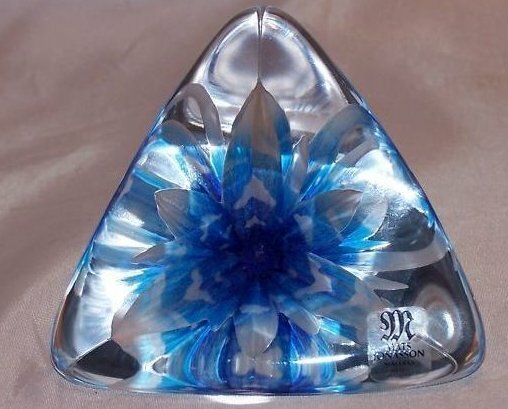 One of the great features to this paperweight is the way the white parts of the centered blue flower changes to the color of the paper it is set on, giving it an ever-changing appearance. Free shipping within the United States, all others please contact for shipping quote.